Lowell School in Watertown is one of three elementary schools being renovated or rebuilt. Recently the cost estimates came in 50 percent higher than anticipated. Given a 50 percent increase in the cost estimates to rebuild the Town’s three elementary schools, members of Watertown’s School Building Committee debated, on Wednesday, what should be the priority in the project: the education program or keeping costs down for taxpayers. At its last meeting, the School Building Committee heard the latest cost estimates from architects from Ai3, which put the price tag at $170 million to $180 million. The figures came in significantly higher than the projected costs from the master plan created by SMMA in 2016, which said the project could be done for $80 million to $120 million, depending on the level of work. The work on the elementary schools is part of the Building for the Future project, which also includes renovating or rebuilding Watertown High School. 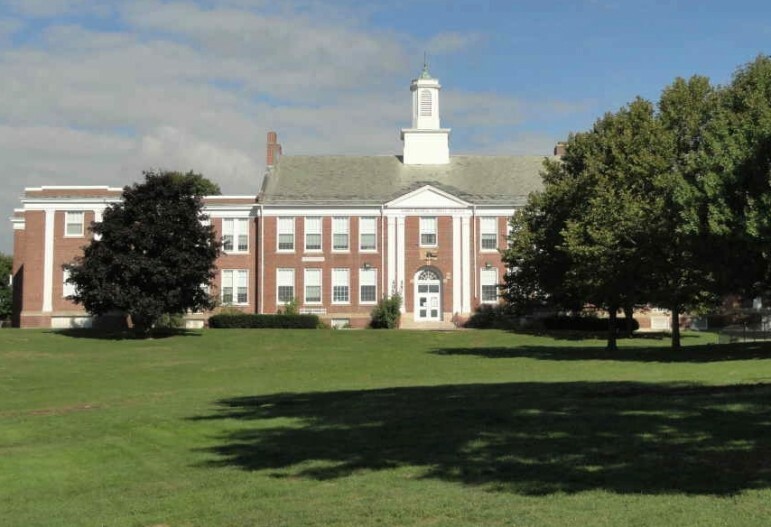 The Town will try to get funding from the state’s Massachusetts School Building Authority for the WHS project, but will try to pay for the work on the elementary schools solely with town funds. In October, Town Manger Michael Driscoll announced that the Town could fund up to $120 million without going to voters for a Proposition 2 ½ Override. On Wednesday, Town Council President Mark Sideris, who sits on the School Committee and chairs the Building Committee, warned that Driscoll would not go as high as the new estimates call for to fund the work at Hosmer, Lowell and Cunniff elementary schools. “One-hundred-and-eighty-million dollars is not available to the Building Committee. That was the message from the Town Manager,” said Sideris, who said he and others have spoken to Driscoll about the project funding. Sideris added that he believes there may be some more funding available, but not $60 million more. School Committee Chairman John Portz, who sits on the School Building Committee, noted that neither the School Committee nor School Administration asked for the money from the Town, and they did not set the price at $120 million. Assistant Superintendent for Finance and Operations Mary DeLai said she wanted to make sure that people do not look back on the project as a missed opportunity. “At the first meeting (of the School Building Committee) the vision was so exciting. We would solve the problems with the buildings, particularly the diffuseness of the buildings and lack of connections,” DeLai said. “Now, we are talking about an addition, and substantial renovation to the interiors. It seems like we are making the problem worse — more diffuse. Scott Dunlap, managing principal of Ai3, said he is confident the architects can design a school that will work and also have a wow factor. Sideris said that the School Building Committee could recommend going to the voters for an override to cover the difference, but he would not support it. “I want the override to go to the High School,” Sideris said. Town Auditor Tom Tracy, a member of the Building Committee, added that increasing the amount the town spends on the elementary schools would increase the debt service on the project, and take away funding from other services provided by the Town. Superintendent Dede Galdston said that she wants to make sure that any cost cutting does not impact the education provided to students. In particular she was concerned about having flexible spaces that can be used for large or small group projects. She also suggested that the Building Committee identify three or four key goals on which to focus when making decisions about the project. Others on the committee agreed and said they would discuss it at the next meeting. School Committee and Building Committee member Lindsay Mosca said issues such as this one is the reason why the School Building Committee exists. “Some members are primarily educators, some have finance expertise and some building expertise, so we can have these conversations — have big discussions,” Mosca said. The Committee also discussed how the vast difference in estimates came about. Dunlap said Ai3 examined the School Building Master Plan done by SMMA and said that the buildings are not the same size as Ai3 is designing, the extent of the work is not as much as now being proposed, and that the construction cost estimates seemed low. The SMMA master plan presented three options, with two alternatives for the second option. The first option was just doing the basic work to make the current facilities usable, but with little change in the layout. The second option would make interior changes to make the schools more modern, including having more group learning areas. In this option, adding an early childhood center was the alternative. The third option was building three new schools. After examining the master plan, Dunlap said that, even the second option, the SMMA plan does not replace the electrical, plumbing and mechanical systems in the buildings. Ai3’s estimates called for replacing these systems. Some of the schools’ systems may be able to be used in the new buildings, Dunlap said. He noted that the SMMA estimates were based on building assessments done in 2014, but work has been done to the schools since then. He suggested that Ai3 do its own building assessment to find out the condition of the electrical, plumbing and mechanical systems in each school. The school enrollment planned for in the Master Plan was for 1,350 students in the three schools, plus 400 students in a facility for preschool/preK, called an early childhood center. Ai3, on the other hand is planning buildings that will hold 1,445 students, with a 200 student early childhood center. In January, the School Committee asked Ai3 to build extra capacity into the schools so they could handle an bigger than expected increase in enrollment. In the master plan, the cost of work was $170 to $190 per square foot, while Ai3 used the estimated cost of $550 per square foot, Dunlap said. Kelly Kurlbaum, a community member of the Building Committee and an owner’s project manager by profession, said that $550 per square foot seems conservative. Dunlap said the number could end up being a bit lower. “It could be $500 (per square foot), but I’m not saying it could be $300,” Dunlap said. Also, the cost of construction has increased since the master plan came out. The rate inflation rate for construction costs is about 7 to 8 percent a year, said Paul Anastasi, a community member of the Building Committee and former facilities manager for the Newton Public Schools and Watertown schools before that. Information and updates on the school building projects can be found at the project website, watertownschoolsproject.com. The next School Building Committee meeting will be on May 16 at 6 p.m. and will focus on the timeline of the project. At the following meeting, which has not been scheduled, Ai3 will discuss its findings from the building assessments. These are the schools needed for the children of yuppies who live in new condos and apartments the town approved for yuppies because they weren’t going to have children and the tax money from these properties wasn’t going to cost the town anything. At least this is the fantasy world the planning board and town counselors have been living in for years. Bottom line is they are all unqualified for their positions.